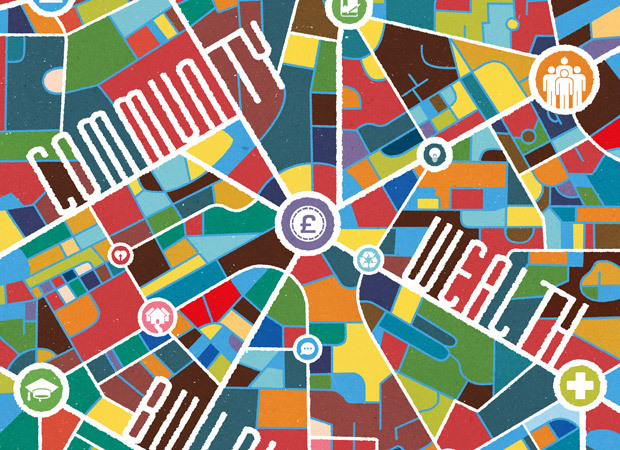 We're launching our autumn issue – Community Wealth Building – across the UK! Federation House, Manchester. November 2nd 2017 — 7pm - 9.30pm. We're teaming up with the Centre for Local Economic Strategies (CLES) for a magazine launch at The Co-op Group's Federation House. We'll be joined by CLES CEO Neil McInroy, Preston City Council's Matthew Brown, and New Start magazine editor Clare Goff to explore Community Wealth Building approaches. We'll ask what if local anchor institutions redirected public money into worker co-operatives and local businesses? Could radical municipalism be a way to democratise our economies? And what successful examples of community-led regeneration are there around the UK? We return to Canary Wharf's Trampery Republic to launch our autumn issue with a panel of magazine contributors. In the last 10 years we’ve seen communities take more control over the services and assets that matter to them, from local pubs to shops, football clubs to green spaces, and other assets of civic importance. But what is Community Wealth Building and how can it enable communities to reorganise their local economy? At our autumn magazine launch we’ll explore Community Wealth Building approaches, the potential of the ‘Community Business Revolution’, and ask how we can create a more supportive policy environment. We’ll be joined by Clare Goff of New Start Magazine, Mark Walton of Shared Assets, Adrian Bua of the New Economic Foundation, and Russell Hargrave of Power to Change. We’ll also have beer from Toast brewery!